May | 2010 | "é rayhahn, rayhahn"
Among the bills and junk mail were a couple packages (for me, not Mo or K! ), and turns out they were from Scott at Hand Collated, and AdamE at Thoughts & Sox. AdamE’s was basically a “thanks for the Virdon card; hope you’re still alive” envelope, but it had sweet 2008 Topps Chrome Refractor Morneau, a Carew reprint, and a Topps Puckett rookie – nice! Although I already have Kirby’s card, I know I can turn it around this summer “up Nort'” for some quality stuff. In addition, Scott had some cards as part of this trade, and the delay was no problem. Wiped from the wantlists were some Gold, Red Letter, Gold Foil, and Wal-Mart Black Border Topps parallels from the past few years, as well as a few others. I love incoming mail, and a double arrival is twice as nice. I have a couple more trades on the horizon, and they will be equally anticipated. As a note, I decided to try create a portal here on my blog to my insect photo collection: you can see my attempt by clicking INSECTS at the top of the page. I’ve had the old homepage hosted at Ancestry.com with my genealogy pages, somewhat taking advantage of Ancestry’s hospitality. Someday when I’m not as cheap, and better know what I’m doing, I’ll uproot the whole thing and locate it where it better belongs. Meanwhile, enjoy! 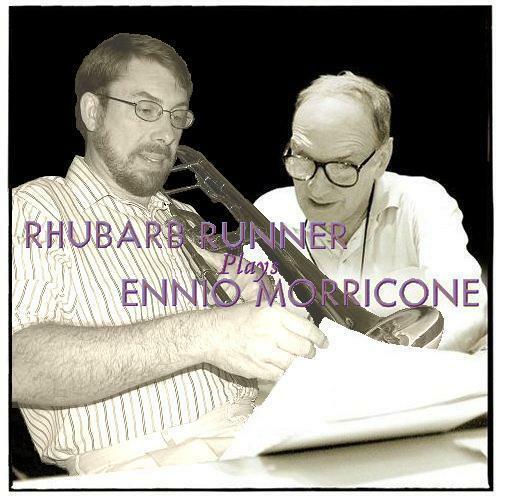 In the past, when I was more active at StreamingSoundtracks, I participated in what was tongue-in-cheek referred to at SST as the “Sexiest Photo Contest”. The contest has been held annually since ~2001 or so. The regular listeners would send in an “anonymous” photo taken within the previous twelve months, and then two webpages would be set up to display all the photos, one for the guys and one for the gals, where the listeners could vote on the “sexiest” photo. 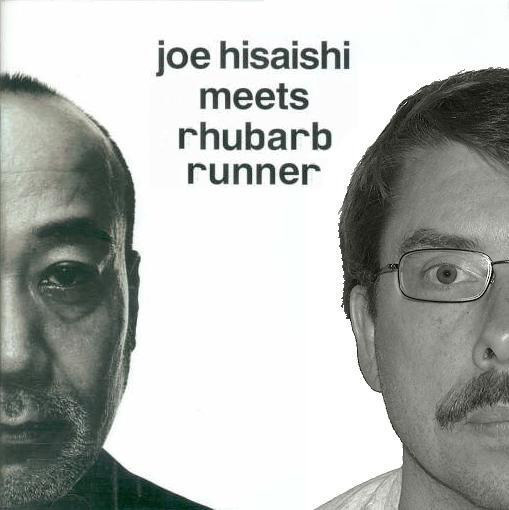 A limited amount of photoshopping of the photos was allowed, so I decided to use soundtrack covers as the basis for my entries. 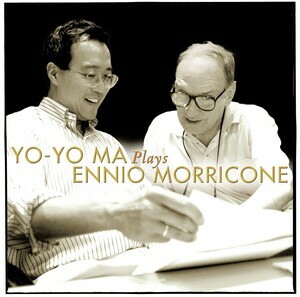 Ennio Morricone was a big topic of conversation in 2006, so I took the beautiful album of Yo-Yo Ma playing his music. 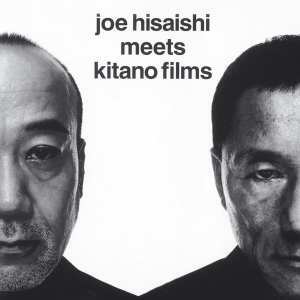 The following year, I took a cover from my favorite soundtrack composer (and an SST favorite), Joe Hisaishi. It’s Friday; fire up the randomizer, Pandora. Good luck with your finals, K! A while back, I dropped by Sign Here…And Here. (clever name) to see about a cardboard exchange. For some vintage Orioles, C.P. sent a great Twins variety pack in return, including a couple refractors, some chrome, a few serial #’d, a couple vintage, a jersey relic…and I even helped him get rid of some junk wax.